As a human race we have evolved in many great ways and not so many great ways. Technology has come a long way, to the point, everything gets video taped. There is no more second guessing what may have happened when someone breaks the law, it will be filmed, even when it is the law who is breaking it. No one is safe from getting caught red handed. But there is just as many who do invade the privacy of others with that technology, from young people posting pictures on social sites of a girl who in the heat of the moment may have trusted a guy, was using her heart instead of her head and that heart felt moment for her turns into heartache. .she commits suicide because the world sees what 99% of people did at some point in their life, trust someone, and she was taped and shamed. Then you have people who abuse women and children. Twenty years ago or more, women and children were abused behind closed doors, nothing was said by the abused when they left that home, afraid of retaliation if they did. Suppressed and belittled, that woman and or child endured years of abuse. And the sad part of that one is.. IT IS STILL HAPPENING!!!.. In this day and age, that abuse is still happening, even with all the technology, warnings and help out there, the abuser is still abusing. And that woman and child are still suppressed and made to feel shame. This has to change. We need to evolve to where that abuser will think twice before raising that hand or voice, we need the abuser to fear what will happen if he does, we need the abuser to be suppressed and feel shame. Then I think about how much abuse and suppression has happened to the indigenous people in this great country. If only we had today’s technology back in those days, to record the abuse of this country’s indigenous nation. But it is no secret, it is written, somewhere, for all to read. It is just we have become mind lazy. If we don’t see instantaneously, what did or is happening, we tend not to believe or take the time to understand. I am a daughter of one of those native children put in a residential school. No I was not there at the time, no I never seen film footage of what my father went through as a child. But I know for a fact how he felt, not only as a child, suppressed and abused, but as an adult who’s dignity and self right was stripped from him. I know for a fact the shame he felt at the hands of the white man, the priests, because I was at the receiving end of my father’s hand for many years and as a child had no idea what I was doing wrong to warrant such abuse and I am not going to speak for anyone else in our household, because every one has their story. Every child has a story to tell when they grow into adults, IF and that is a big IF, they live long enough to realize they did nothing wrong and begin to heal and forgive. Don’t get me wrong, I love my father with all my heart. 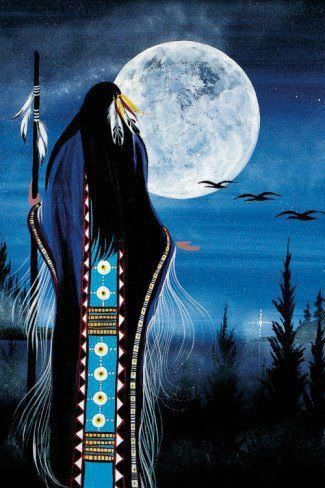 I understand my father, even today, after he has passed over, the wrong that was done him as a child, as a native child and I have forgiven him because of what he shared with me. However, that little boy and little native girl from back in the day, is and are still being abused and taken for granted, the offspring, the great grandchildren of those children, are still being suppressed and made to feel like they are not worthy of protection from abusers and killers. Their mother’s and fathers are being told that their child’s death is not a priority to this country’s government. And once the house burns down, killing 2 native babies, once the smoke settles, ashes to ashes, the silence is deafening… no one is hearing the cries of the women and children of indigenous heritage.. But! I hope and pray that as this world evolves, in time, so does the understanding, no matter your race, religion or color of your skin, your life does matter to your neighbour, to your government. And that the need for healing is so great. But to heal, the non-native needs to take the time to read, to talk, to listen to what has happened to their indigenous brothers and sisters and stand beside them, not in front of them and no child is left behind in shame or alone in the darkness of being misunderstood, because a little light was always shining, but made brighter with the empathy of ALL the peoples of this great country, we call Canada!